1Church1Day is a strategy offered through and stewarded by Kingdom League International. Tim Taylor is the author and architect of this strategy is merely a modern application of an ancient design first modeled by King David in his tabernacle on MT Zion. This strategy is a modern expression of an ancient pattern inspired by King David in the tabernacle on Zion. Leaders from over 38 nations have reported it helped them in launch houses of prayer, plant churches, transform their communities and unite the Church from Presbyterian to Pentecostal and from Catholic to Charismatic. 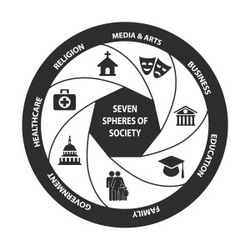 It connects leaders in the 7 spheres of culture with intercession. It is powerful, effective, reproducible and cross cultural. 1Church1Day (One Church One Day) shares not only how we build a house of prayer in our community but is also a way we can become an answer to Jesus' prayer in John 17:21 where He prayed that we would be one. 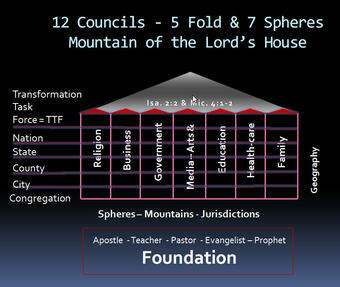 Want to help build the mountain of our Lord's house of prayer for all nations? Click here to download your app today! Want to discover how to mobilize your church or the churches in your community? ​﻿We use a simple 4 step strategy inspired by King David & Nehemiah to build a wall of prayer and set a watch, family by family and church by church. ​﻿The strategy initiates a process that enables leaders to form councils and take the first steps to develop prayer and action strategies appropriate for their community. ﻿This provides a pathway for any church or community unite their teams of churches and councils.